*Full disclosure: I may be involved in this game's development in some small capacity. There will be birds. The Saurian developers have made a somewhat controversial choice when it comes to the name of the Hell Creek Formation hadrosaurid. Yes, boys and girls, a video game company has dipped its toe into the boiling caldera that is dinosaur nomenclature. 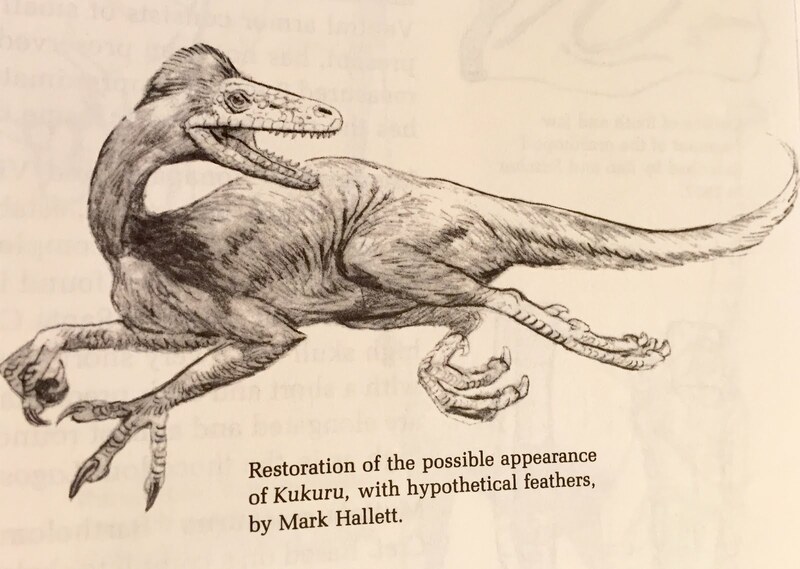 Many fans (and keep in mind these are people who know enough to be early backers of a game priding itself on scientific accuracy and technical minutiae) were a little shocked to see the announcement of the Saurian hadrosaurid. Not just at the unbelievably painstaking level the devs went to in order to research and create the character - everything from life history and growth trajectories to mapping out the actual pattern of scales found on an infamous fossil mummy. People were also a little put off by the fact it was named Anatosaurus annectens rather than Edmontosaurus annectens. I'm not going to re-hash the long and convoluted history of everybody's favorite "trachodont" (Wikipedia does a pretty good job of that). 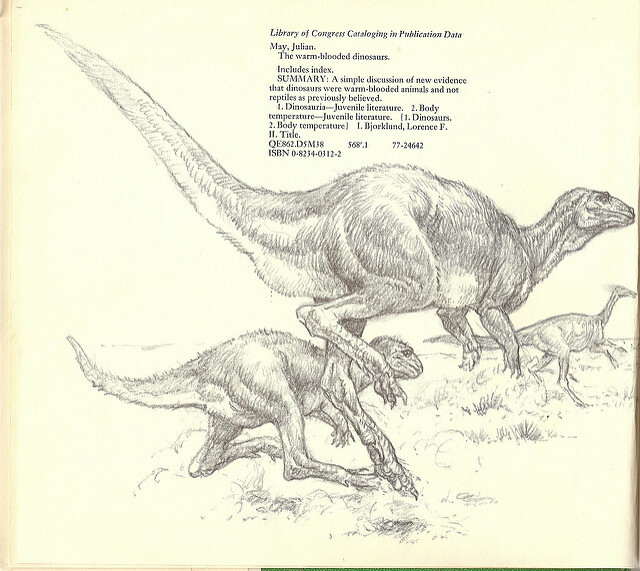 For the purposes of this post, it's enough to understand that these two species of dinosaurs, Anatosaurus annectens and Edomontosaurus regalis, are fairly similar. So similar that for the past 25 years or so, most scientists have "lumped" them together under the same group of species, the genus Edmontosaurus, making the binomial of the Hell Creek Formation species Edmontosaurus annectens and relegating the name Anatosaurus to the trash heap of history. But, a few years ago something changed. 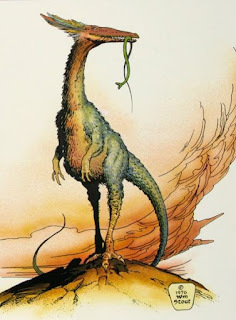 See, there was a second Hell Creek hadrosaurid, a bigger and much more different looking beast named Anatotitan copei. 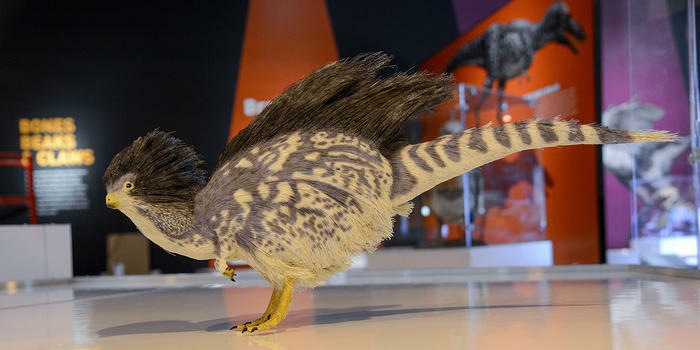 During the same 25 year period, mostly everybody has agreed this dinosaur was different enough from its relatives to deserve its own genus name. Recently, studies have demonstrated that those differences aren't necessarily due to being more distantly related, but just being... older. Anatotitan, it turns out, is just a mature version of Anatosaurus/Edmontosaurus annectens that had built up more unique features with age. It's not just a similar species to annectens, like Edmontosaurus reglais is, it's the same species. So onto the trash heap with Anatotitan. But wait! Anatosaurus was thrown out because it was too similar to Edmontosaurus. Now, it turns out, it was actually different--different enough that its adult form was given its own genus for all those years. So shouldn't Anatosaurus be a genus again? *I'm not 100% sure that's the correct number, but it'd be something with a lot of zeroes. Some people have attempted to bring some science to the art of taxonomy, and quantify genera. 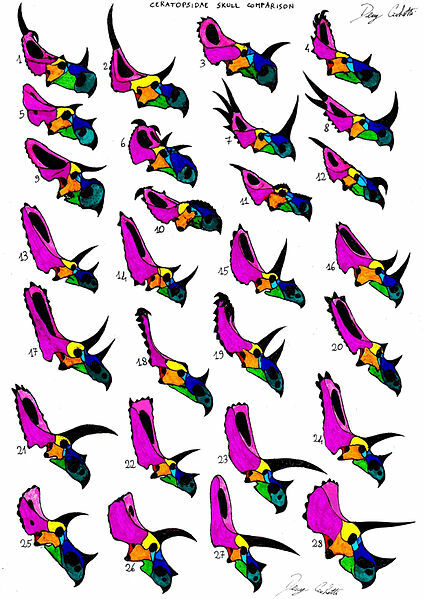 Recently and most famously, Emanuel Tschopp and colleagues published their precise genericometer settings, and used those settings to reclassify the diplodocid sauropods. This resulted in bringing back the old, previously-junked genus name Brontosaurus (you may have heard of it). This is a great thing to try, but the method was only designed to apply to diplodocids. It might wreak havoc with names in other dinosaur groups, and would certainly result in an entomologist revolt if anybody ever tried to use it on bugs. To their credit, the Saurian team have been up front with their genericometer settings used in the game. Rather than base their concept of genus completely on anatomical similarity, they've made the very intriguing choice of combining evolutionary relationships with a chronological component. Basically, if species B is the closest relative of species A, and if species B is known from fossils that can be dated to within one million years of species A fossils, then species A and B are to be classified in the same genus. 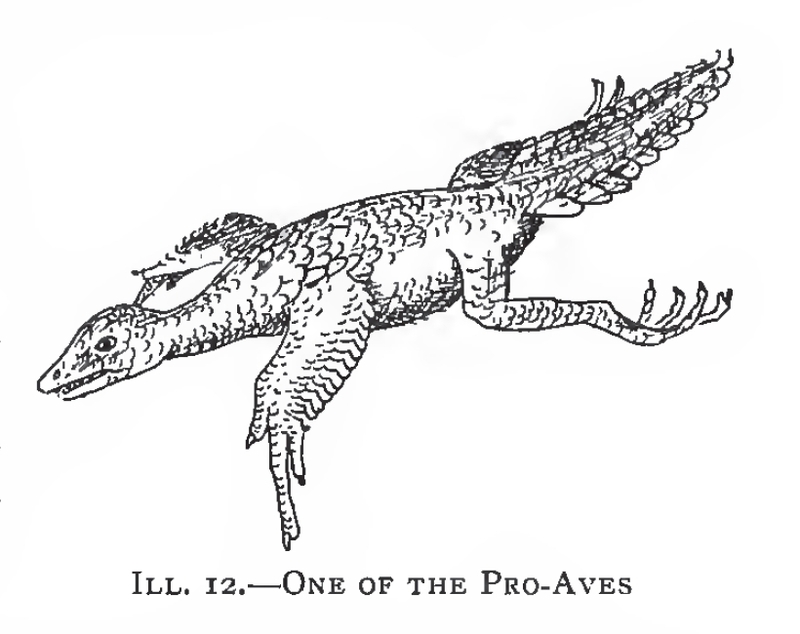 I thought it would be fun to try out these genericometer settings and see how it compares to the current traditional consensus, and to some other more widely criticized attempts to re-genericize dinosaurs, like the classification used by Greg Paul in his Princeton Field Guide to Dinosaurs. We'll start with Anatosaurus. If we take Anatotitan to be its synonym, then according to most recent phylogenies, its closest relative is Edmontosaurus regalis, which lived more than a million years earlier. 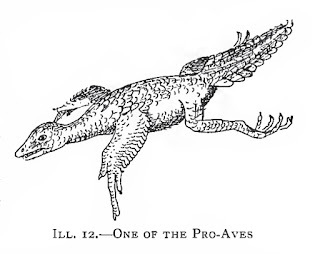 This is why Saurian chose to split Anatosaurus back off into its own genus. But right here, we immediately need to note how highly dependent on the vagaries of phylogenetic analysis this method is. Ugrunaaluk is a very similar hadrosaurid that actually lived in between Edmontosaurus and Anatosaurus, and was originally thought to represent specimens of Edmontosaurus. According to the (very few) phylogenetic analysis on its relationships, Ugrunaaluk is actually outside the Anatosaurus+Edmontosaurus clade. But, given its chronological position, it's always possible more analysis will show that it is transitional between them. Ugrunaaluk is still too old to connect Anatosaurus to Edmontosaurus by a million years or less, but only slightly. Ugrunaaluk lived about 69 Ma ago, and the earliest Anatosaurus fossils are about 67 Ma old. All it would take would be one slightly younger Ugrunaaluk specimen, in that case, to pull the whole shebang back into Edmontosaurus. Following this cladogram for the sake of argument, let's look at the next outgrip to Edmontosaurus, which is the clade Saurolophini. 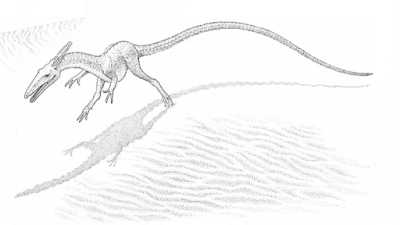 Now we reach the sticky question of what counts as the next closest relative of Edmontosaurus, moving down the tree. So lets start at the tip of the next branch, with Saurolophus. S. osborni lived between about 69-68 Ma ago, slightly later than the last Edmontosaurus, but still within a million years. 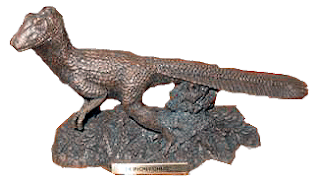 S. angustirostris lived about 70 Ma ago, during the time Edmontosaurus was alive. Prosaurolophus lived up until around 74 Ma ago, which predates Saurolophus but sits just barely within a million years of the lower range of Edmontosaurus. Since both Saurolophus and Prosaurolophus lived within a million years of the upper and lower range of Edmontosaurus, following these genricometer settings, they should all be lumped into a single genus. Because of the rules of priority, that means Edmontosaurus itself goes on the trash heap and Saurolophus regalis becomes the correct name for that species. Same for the next closest relative to the Saurolophus + Edmontosaurus group, Gryposaurus, which is within a million years of Prosaurolophus. Ditto Kritosaurus. It's not until the Brachylophosaurini clade that we finally get a break from all this lumping, but already, half of the short-crested hadrosaurids are now Saurolophus. Obviously, I'm taking this a little far on purpose, just to test it out as a general-use genericometer for dinosaurs. 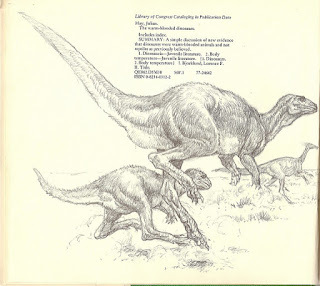 You could easily tweak these settings to produce more traditional genera, like adding a rule against paraphyly (both Anatosaurus and Kerberosaurus would fall within a clade formed by members of Saurolophus in the above example; though in my opinion this is a feature rather than a bug, since some genera had to have evolved from others anyway, it's a little silly trying to rigidly keep them monophyletic). We could also add a stipulation that the time component is relative to the type species or, even better, type specimen, to allow for inevitable evolutionary grades from one form to another. This would, in effect, place a sort of million-year "radius" around a species that is not ever-expanding. 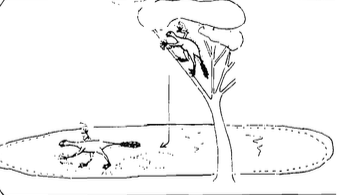 So anything up-tree or down-tree of E. regalis, like Ugrunaaluk, gets caught in its gravity well, but we don't then jump to anything within a million years of Ugrunaluuk, too. I have to think this is probably the real intent of the Saurian team's method. 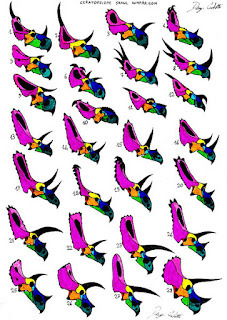 A variety of ceratopsid genera, by Danny Cicchetti (CC-By-SA). "These are all different GENERA? That's hilarious," --Entomologists. Using this type-restricted genericometer method could still do some fun things in the one part of the dinosaur tree that everybody sort of secretly thinks is horribly over-split but doesn't say so out loud because nobody really wants to rain on those guys' big ol' naming party: the ceratopsids. The Saurian team stated that, if they were to include Torosaurus as a distinct species in the game, it would be as a species of Triceratops, per the genericometer settings described above. Following this cladogram and a type-restricted interpretation of Saurian's method, Torosaurus does become a species of Triceratops, the holotype of which is from about 67 million years ago. Nedoceratops has to go as well. Now, the Triceratops party ends there based on this particular cladogram, but I find the placement of the Titanoceratops a little er... iffy. Titanoceratops is really, really similar to Pentaceratops from almost the same time and place, so finding it in between a bunch of species that look basically identical to Triceratops is odd. I'm not saying it's wrong, but let's just ignore it for the moment. If we do, then Ojoceratops, Eotriceratops, and Regaliceratops all become species of Triceratops, too. So the entire clade Triceratopsini = Triceratops. Further down the tree, we have Anchiceratops and Arrhinoceratops becoming synonyms. Kosmoceratops and Vagaceratops, too. Chasmosaurus subsumes Mojoceratops, Agujaceratops, Utahceratops, and Pentaceratops. Coahuiloceratops and Bravoceratops are both safe, and form the sister clade to the big Chasmosaurus complex. On the centrosaurine side of the tree, Achelousaurus becomes Einiosaurus, unless paraphyly is invoked. Centrosaurus gobbles up Coronosaurus, Spinops, and Styracosaurus (again, unless paraphyly is invoked, in which case Styracosaurus remains valid but includes Rubeosaurus ovatus; this was the plan for one of the unmet Saurian Kickstarter stretch goals that would have included Styracosaurus ovatus). Overall, this system produces a classification that is similar to, but not nearly as extensively lumped, as the one used by Greg Paul. I kind of like it, especially with the type species stipulation in play. I think that if you are going to use genera, and not just convert all genus names to species praenomen as some people have suggested, it's a good idea to have some kind of standard metric. The problem is, of course, that nobody will ever agree to one standard. Even within dinosaurs. Nobody specializes in all dinosaur groups. We have ceratopsian workers, tyrannosaur workers, avialan workers, sauropod workers, etc., all with their own traditions and personal metrics. This is why it tends to be the science popularizers, like the Saurian devs or Greg Paul or even Bob Bakker, who are the ones coming up with what all the professionals view as highly idiosyncratic classifications. They're attempting to take all these disparate fields within dinosaur paleontology and apply a single metric to all of them, which is bound to change a few things away from the consensus. At the end of the day, the consensus is what it is. I'm glad people are exploring ways to apply consistency and standards to science-related minutiae like taxonomy. But it's equally important that those efforts be transparent, so we can compare each metric to the others and see which produces the results we like the best. Because at the end of the day, all of this splitting and lumping of genera comes down to just that: a matter of opinion.